Welcome to Shaw Website Design Group's Database programming Language bubble. Our Database Resource bubbles are here to help you, no matter your skill level The Database bubbles provide a wealth of information to peak your interest and push forward your learning experience. At Shaw Website Design Group, we hope what we have gathered allows you to float your curiosity and inflate your knowledge about Database Programming. Just about anyone can design and implement a modern database with the right knowledge and tools. The problem is that if the design allows for poor reliability, slow data flow and inconsistent operation is it really useful? Would you accept a design full of exploits that allow the data to be stolen? Could you accept a design weak enough to allow for crashes during peak times? Can you tolerate a design that offers contradictory or incorrect data that corrupts the system? Keeping your database tools up-to-date. And ensuring that your skill set understands the problems you might face and has a plan to avoid them if possible. You must understand your goals first and foremost. Ask yourself again, what the database is going to do; what do you want the database to solve and what might you need in the future. If you have a good grasp on this you’re on your way to successful database programming. 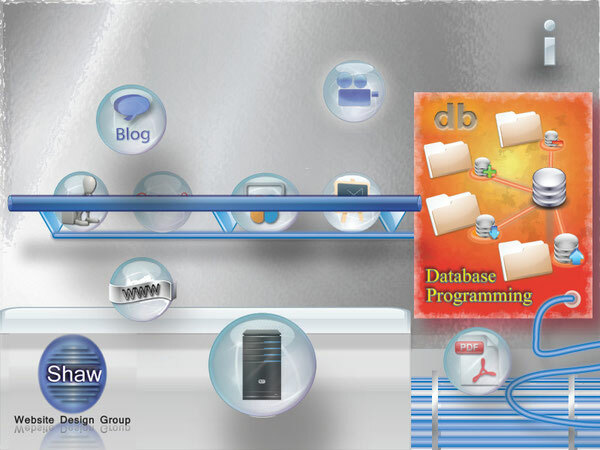 The following Shaw Website Design Group's, Database Programming Language Resource bubbles have been gathered from around the web and will be periodically updated. Shaw Website Design Group - Helping stir up you curiosity about Databases. Take your Time and Learn Database programming one bubble at a time.